After the successful launch of Superman Deo, leading deodorant manufacturing company Vanesa Care has come up with new Batman deodorant series to caters to the Superhero fans. 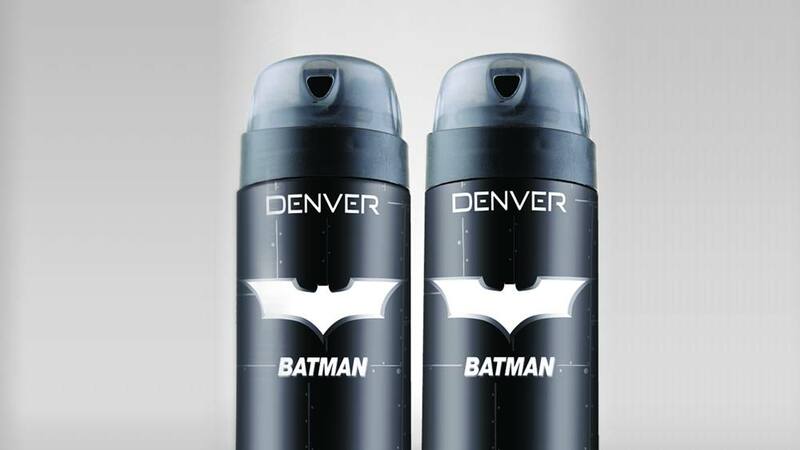 Leading Personal Care manufacturing company Vanesa Care has launched ‘Denver Batman’ deodorant with Cartoon Network Enterprises (CNE). Known as the licensing and merchandising arm of media conglomerate Turner International India, CNE & Vanesa Care has together introduced in two variants of the deodorants; Batman Urban Legend and Batman Night Warrior. Enwrapped with the fragrance on spicy side and more mature with lingering effect in addition, Denver Batman has masculine woody accords and the base is enriched with musky and warm woody elements. The base is emblazoned with amber, patchouli, oakmoss and vetiver which aim to the warrior who takes adventure of the night. Aiming to tap diverse needs of individuals Vanesa Care , has joined this licensing deal that explains the magnitude of the launch and its adherence to quality protocols, claims to meet international standard. The Denver Batman deodorant has been packed in all black cane with imported twist to turn cap and is available in a 250 ml pack at Rs. 249 at all leading departmental stores and online retail stores like Filpkart, Amazon, Snapdeal, Big Basket and Paytm. Now, seeDoc on video conference to get urgent care..